In a direct response to our campaign to stop Vietnam’s pig slaughter festival - Vietnam’s Prime Minister has announced “old fashioned, superstitious and negative” festivals will end. And it’s all thanks to your support! The speech is widely seen as a direct reference to Animals Asia’s international campaign opposing the Nem Thuong pig slaughter festival which gathered thousands of signatures from around the world. 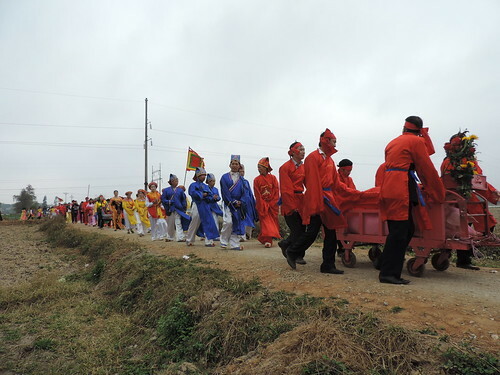 With the eyes of the world on Vietnam, the village of Nem Thuong continued with their bloody and superstitious event in full defiance of the will of the Vietnamese people and authorities, 79% of whom had voiced their opposition to the cruel festival. While we will have to wait for news of changes to festivals – the Prime Minister’s will is clear and we will push for that to become definitive action. “The ministry has decided that negative activities such as buffalo stabbing and pig chopping…in festivals will be reviewed. “This is an enormously positive move from the highest levels of Vietnamese governance. It shows that the country is listening and reacting to the will of the people who were near unanimous in their condemnation of festivals like Nem Thuong. “It never ceases to amaze what can be achieved when we come together. Our supporters around the world should be very proud today. From the smallest of individual actions, multiplied to a factor of thousands, to the tireless efforts of individuals on the ground we have achieved real change and have every chance of ending cruel festivals in Vietnam. “This is about more than one animal. It is about what is acceptable in modern society. A pig died this year in tragic, awful, cruel circumstances, but in the discussion surrounding it – new impetus was given to Vietnam’s growing animal welfare movement."